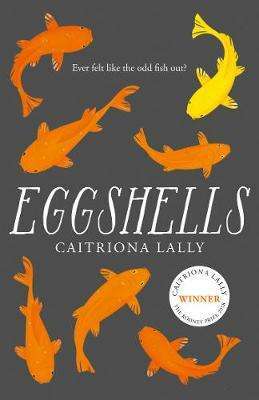 A modern Irish literary gem for anyone who has felt like the odd one out. `Inventive, funny and, ultimately, moving' GUARDIAN `Wildly funny' THE NEW YORK TIMES BOOK REVIEW `Magically delicious' KIRKUS REVIEWS `Beguiling' THE IRISH TIMES `Delightfully quirky' THE IRISH INDEPENDENT Vivian is an oddball. An unemployed orphan living in the house of her recently deceased great aunt in North Dublin, Vivian boldly goes through life doing things in her own peculiar way, whether that be eating blue food, cultivating `her smell', wishing people happy Christmas in April, or putting an ad up for a friend called Penelope to check why it doesn't rhyme with antelope. But behind her heroic charm and undeniable logic, something isn't right. With each attempt to connect with a stranger or her estranged sister doomed to misunderstanding, someone should ask: is Vivian OK? A poignant and delightful story of belonging that plays with the myth of the Changeling and takes us by the hand through Dublin. A poetic call for us all to accept each other and find the Vivian within.